To maintain correct levels of hygiene and control of any micro-organisms the rental agreement includes Annual Sanitisation, comprising of an Internal sterilisation of the under counter chiller (only) every 6 months and filter changes according to specification. 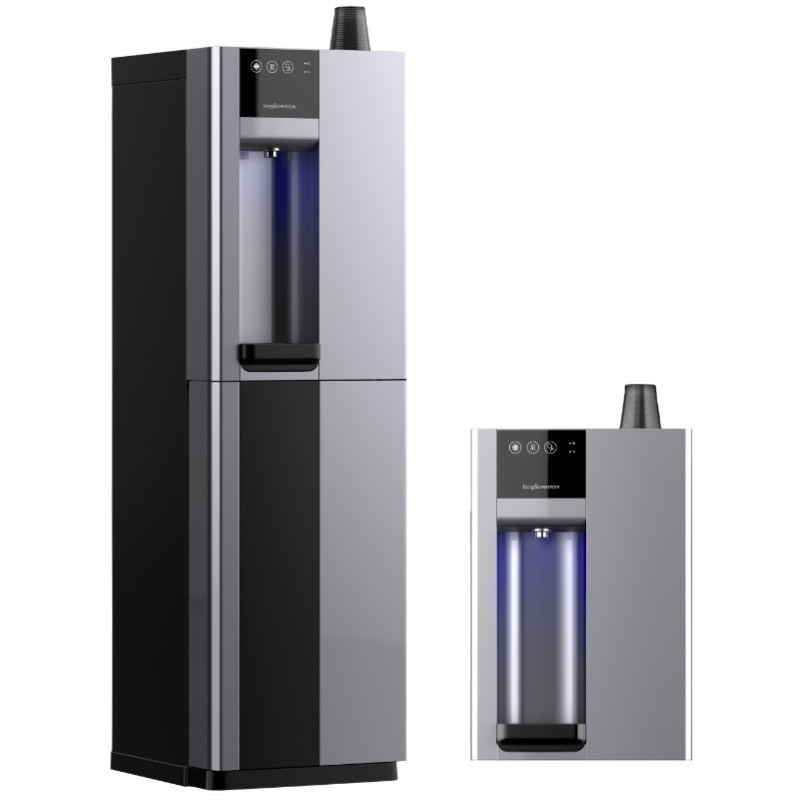 (As recommended by the EDWCA Industry guidelines for mains connected water coolers). The hygiene and external cleanliness of the tap and drip tray, where fitted, is the responsibility of the customer, these areas require routine cleaning to help prevent the build up of dirt and scale. Purchase pricing is based on a customer entering into an annual sanitisation maintenance agreement when purchasing a tap which includes a chiller unit, for a minimum 3 year term, invoiced annually in advance. This service maintains the correct levels of hygiene and control of any micro-organisms and comprises of an Internal sterilisation of the under counter chiller unit every 6 months and filter changes according to specification. 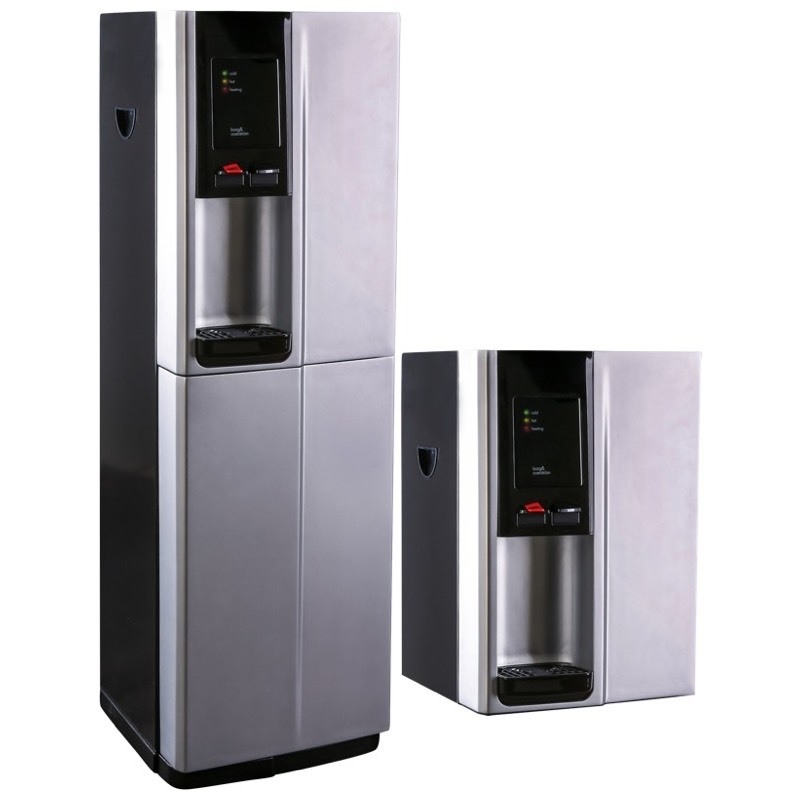 (As recommended by the EDWCA Industry guidelines for mains connected water coolers). When a chiller is hired this service is included in the rental price, when a chiller is purchased the service is provided at additional cost. The hygiene and external cleanliness of the tap and drip tray, where fitted, is the responsibility of the customer, these areas require routine cleaning to help prevent the build up of dirt and scale. For Boiler Taps an Annual De-scale & filter change every 6 months (DSFC service) can be added at the time of purchase. This comprises of a site visit to conduct a 20 minute boiler descale and change the filter, where fitted. Additional in house customer performed de-scaling may be required to ensure the boiler operates correctly. Particularly in hard water areas. Faults caused by scale are not covered by any warranty and any repair needed where scale was found to be the cause would be chargeable. Full breakdown cover for the first 12 months is included. This excludes damage or faults caused by scale, misuse, accident or neglect, for which any repairs will be chargeable. Full breakdown cover for the duration of the hire period. Included for the duration of the hire period. When tap positioned independant from the sink. Customer to provide any drip tray & or drain away. Filter and Multi taps are a great alternative where space is at a premium. 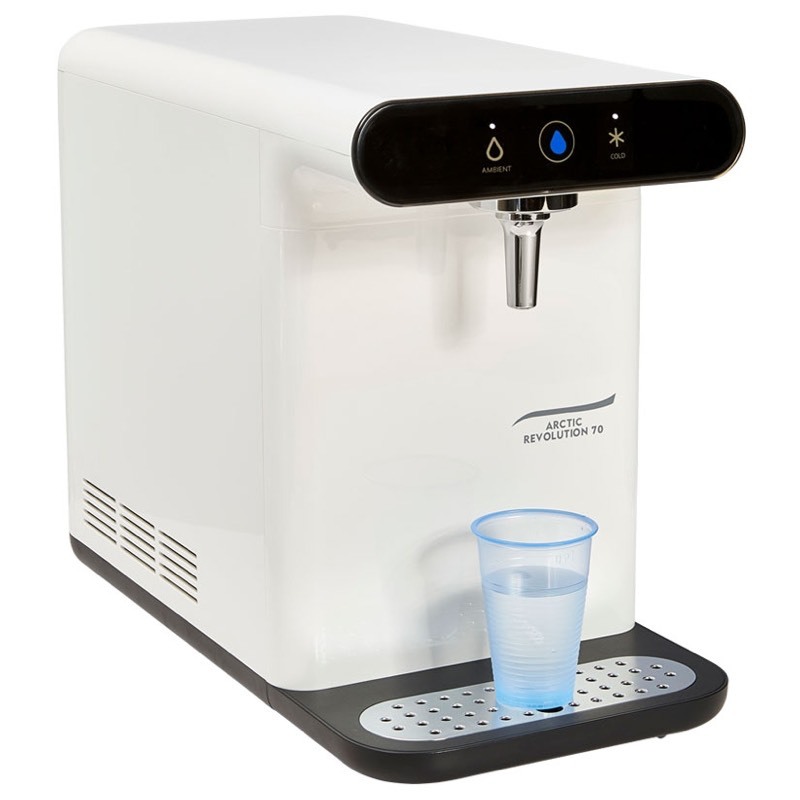 With the U800 chiller unit and filter fitted neatly under counter, high quality drinking water can be elegantly dispensed via the chrome glass filler mounted directly over an adjacent sink. Elegant polished chrome glass filler. Constant supply of chilled filtered water. Over sink or stand alone. Chiller unit hidden under sink/cabinet. Efficient, neat and space saving. 1 micron filter for great tasting water. Refrigeration: Fan assisted convection condenser. Sealed compressor with R134a refrigerant gas. Output - Chilled: 2L Instant draw off. 8 Litres per hour. Filtration: 1 micron carbon block. Reduction 99% chlorine. Odour & bad taste. Power Supply: 220 - 240Volt, 50/60 Hz. Provided with a 3 pin plug and 180 cm power. Under Sink installation: Neat & out of sight. Flexible Positioning: Drip tray option or over sink installation. 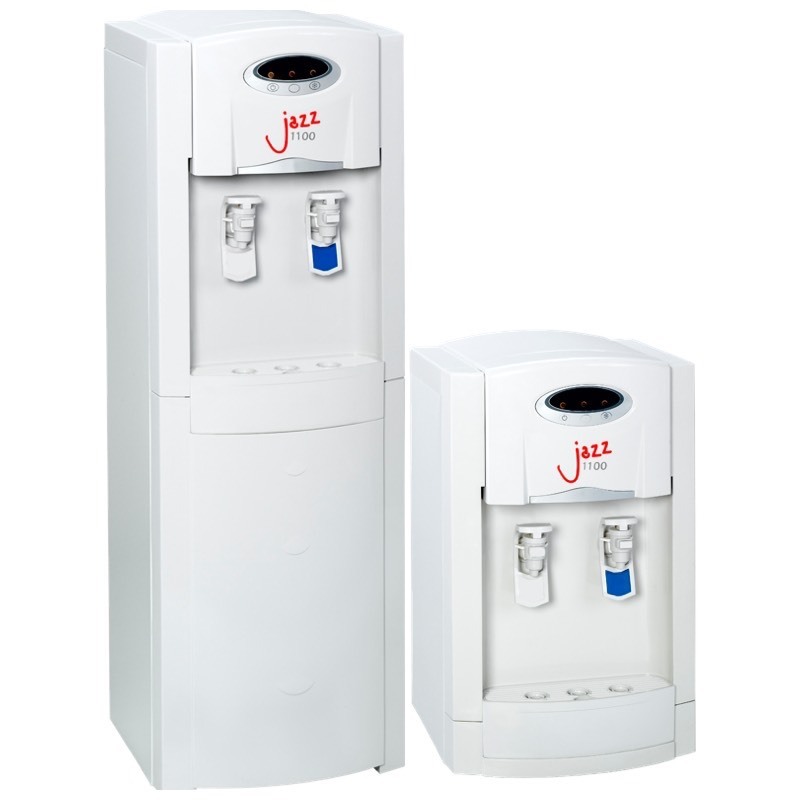 The U800 chiller is installed under a cabinet or sink. 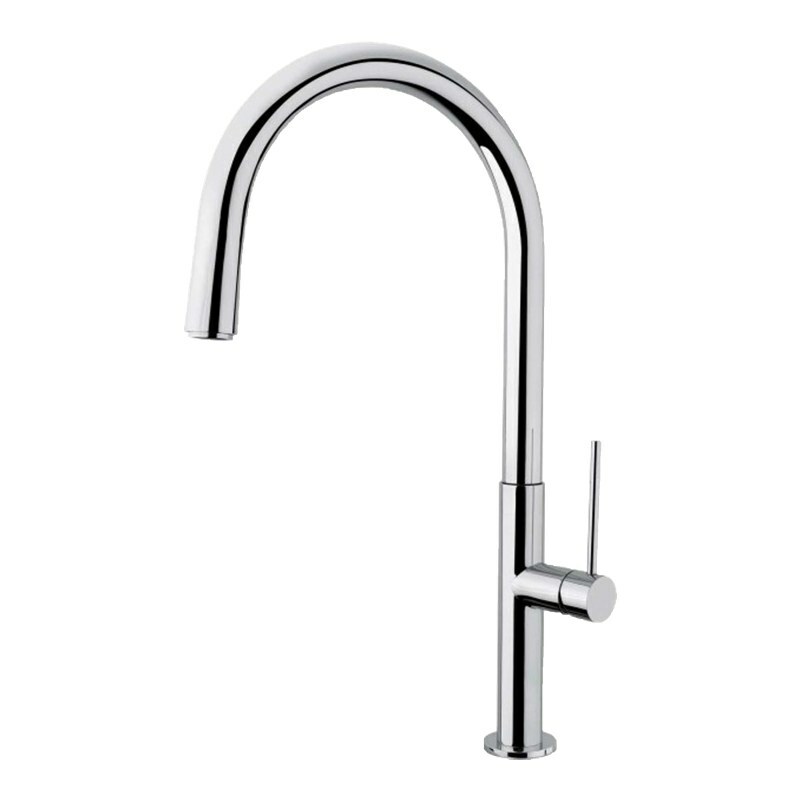 The tap /faucet is then positioned above, either on the counter top with optional drip tray or located over a sink. Connect Coolers offer an automated sanitisation service to ensure your cooler is kept in first class condition. A qualified cooler maintenance representative will visit your premises to clean, sterilise, replace the filter and test your cooler every 6 months. • Will complement any environment. • Touch tap buttons for improved hygiene.